Another Wednesday Night Prayer Meeting has ARRIVED! Tons of new artists like The Martins, Randy Travis, Mark Wills, Jason Crabb and more. All new songs, all new stories about God changing people's lives. All on 5 DVD's with over 7 hours of content for just $29.95 plus shipping and handling. The love felt in that room carries through your TV screen. And it's yours for just $29.95. People always ask us... don't I see everything if I just watch the TV episodes? And the answer is no! If you just watch the TV episodes you're missing over half the content on this DVD collection. 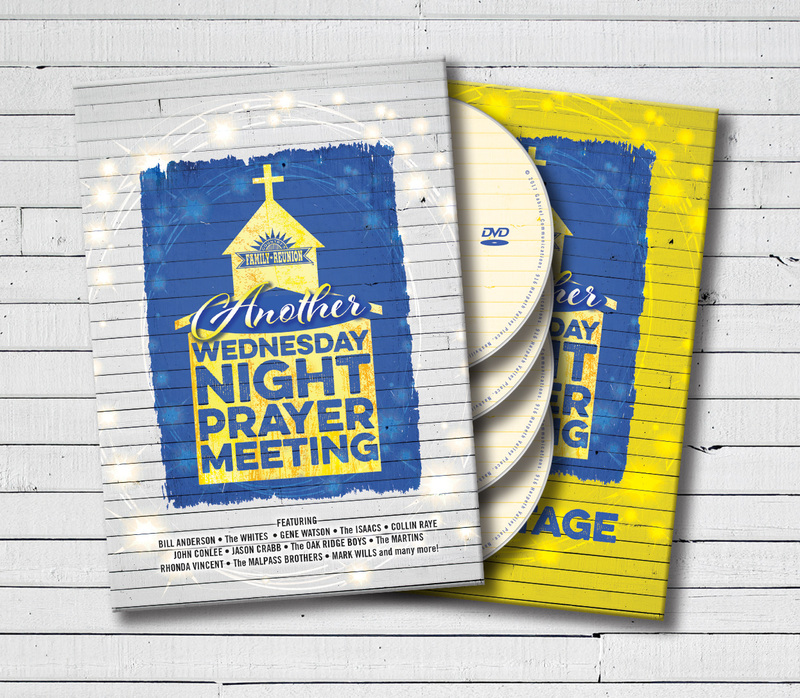 So order the ALL NEW "Another Wednesday Night Prayer Meeting" right now and get all 5 DVDs with over 7 hours of content delivered right to your door.